There is no question that setting up a revocable living trust is a foundation to most estate planning needs. Not only is it important to create a trust that provides all the protection under current laws, but it must be properly funded. Each asset belonging to a client should be carefully considered and properly transferred to the trust. When circumstances require, additional planning is essential when funding assets to trusts. Talk to an estate planning attorney at Morris Hall, PLLC, to discuss your best options for funding your living trust. Our approach is designed to develop a thorough understanding of your concerns and desires and to make you fully aware of your options in preparing an estate plan. We will clearly explain your options — in plain English — and carefully address a wide range of your individual needs and concerns. Minimizing estate tax, providing protection against creditors, guarding against the total dissipation of your estate to provide for long-term care expenses, and eliminating the potential for areas of conflict are always primary goals. Too many estate plans are not properly coordinated with the estate holder’s long-term financial plan. That’s why Morris Hall offers not just experienced estate planning services, but also licensed financial planners and CPAs to work as a team to make sure you are properly funding your trust, according to your comprehensive estate preservation, asset allocation and tax goals. Arizona and New Mexico are community property states, which can have tremendous effects upon your assets upon the death of a spouse. For almost all married clients, an “A/B” trust is important. Upon the death of the one spouse, all community property assets get a step up in cost basis and are not subject to capital gains taxes. Furthermore, the decedent’s share is available to the survivor, but protected against creditors, a new spouse, spend-down for long-term care and estate taxes. Your MH team will help you determine which funding formulas and strategies are available to protect the entire fund. Your Morris Hall attorney will regularly review your funding options and will advise you immediately of any changes in the law that might affect your estate. We are responsive to your needs and concerns and provide regular communications to our clients. When you work with an attorney at Morris Hall, you get the full resources of licensed financial advisors, certified public accountants and the expertise of the American Academy of Estate Planning Attorneys (AAEPA) on your side. 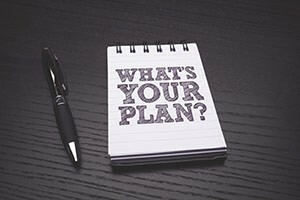 No other law firm has the focus and resources to thoroughly examine every possible strategy to meet your objectives for funding your living trust and allocating assets. Morris Hall offers more than experience. We have the professional resources to ensure that your trust is set up right and reviewed regularly for changes in funding and tax laws and your personal circumstances. When you work with us to fund your trust, you have access to attorneys, legal professionals, financial specialists and certified public accountants employed by the American Academy of Estate Planning Attorneys (AAEPA), all focused on one thing —– funding your living trust in the most advantageous way possible. The documents we use to establish your living trust are superb and offer the strongest protections possible. . Contact us to arrange a consultation with an experienced lawyer today. Our offices are located in Phoenix, Tucson Albuquerque and communities throughout Arizona and New Mexico.